On Monday, April 21, over 1200 law enforcement professionals joined the Detroit Tigers as they took on the Chicago White Sox at Comerica Park. With over 25,000 in attendance and over $12,000 raised for the Memorial Fund, this game was one of the largest Law Enforcement Appreciation Events held since the program began over three years ago. 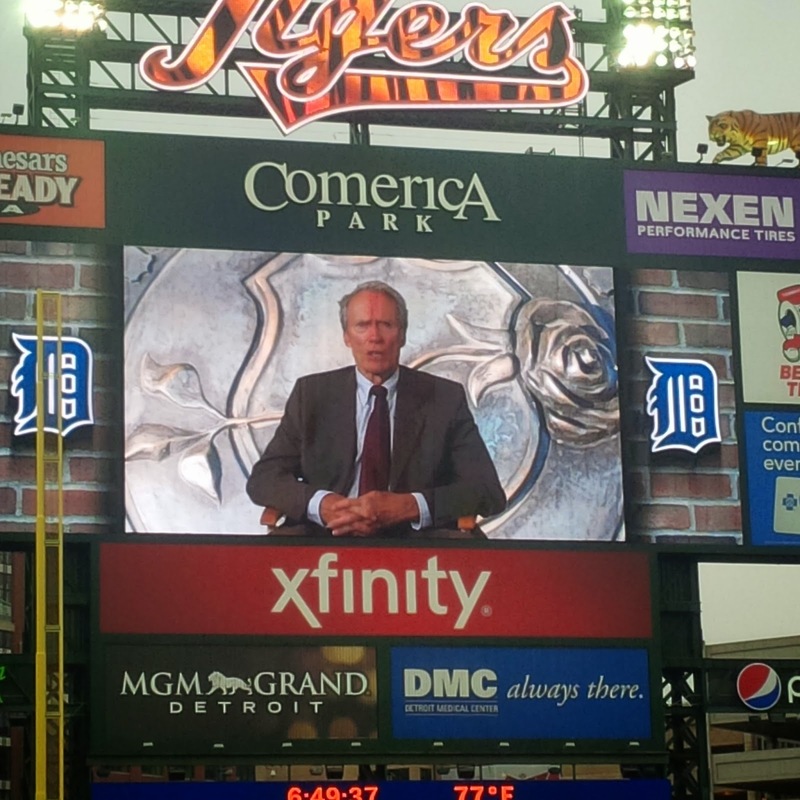 During the game, the Detroit Tigers welcomed all local, state and federal law enforcement professionals with a special message and public service announcement from Clint Eastwood. ﻿﻿﻿﻿Pre-game festivities featured a display of police cars in front of Comerica Park on Witherall Street. The Van Buren Township (MI) Police Department Honor Guard presented the colors as Officer Raquel Reyes of the Auburn Hills (MI) Police Department performed the National Anthem. The game’s opening ceremony was dedicated to honor Michigan State Police Trooper Paul Butterfield II and Detroit (MI) Police Department Officers Rodney Jones and Patrick Hill who were killed in the line of duty in 2013. Also during the game, the Memorial Fund honored their February Officer of the Month Award recipient Lieutenant Timothy Jungel, of the Eaton County (MI) Sheriff’s Office. ﻿﻿The U.S. Customs and Border Protection and Michigan State Police performed a helicopter fly over and Memorial Fund Chairman & CEO Craig Floyd threw out the first pitch of the game. 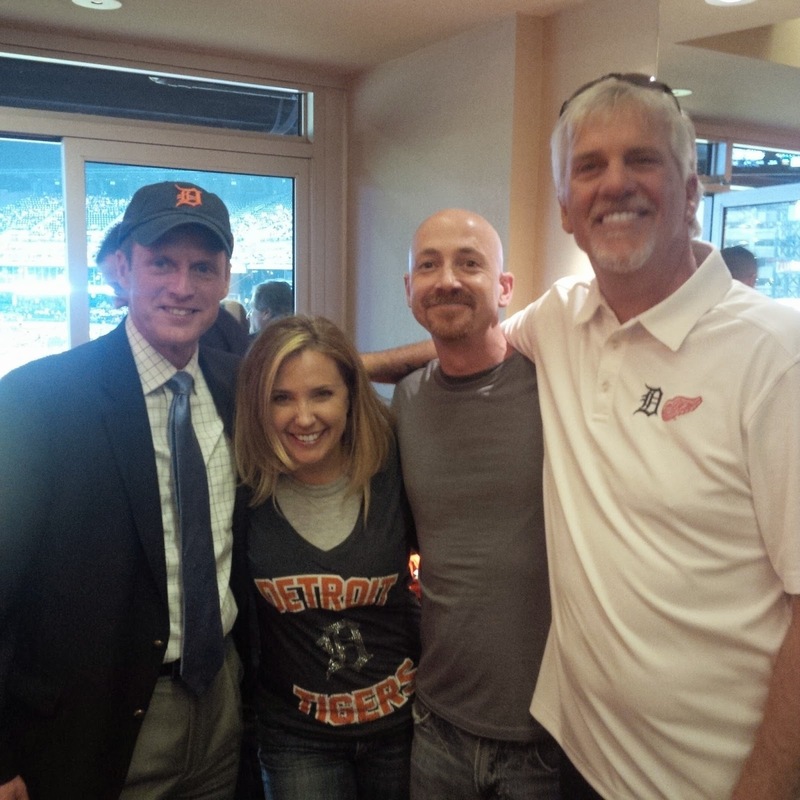 The Memorial Fund would like to thank Law Enforcement Ambassador Brent Clark and Dan Foley for organizing the event along with Detroit Tigers Account Representative Kate Walker and the Detroit Tigers Security Team. 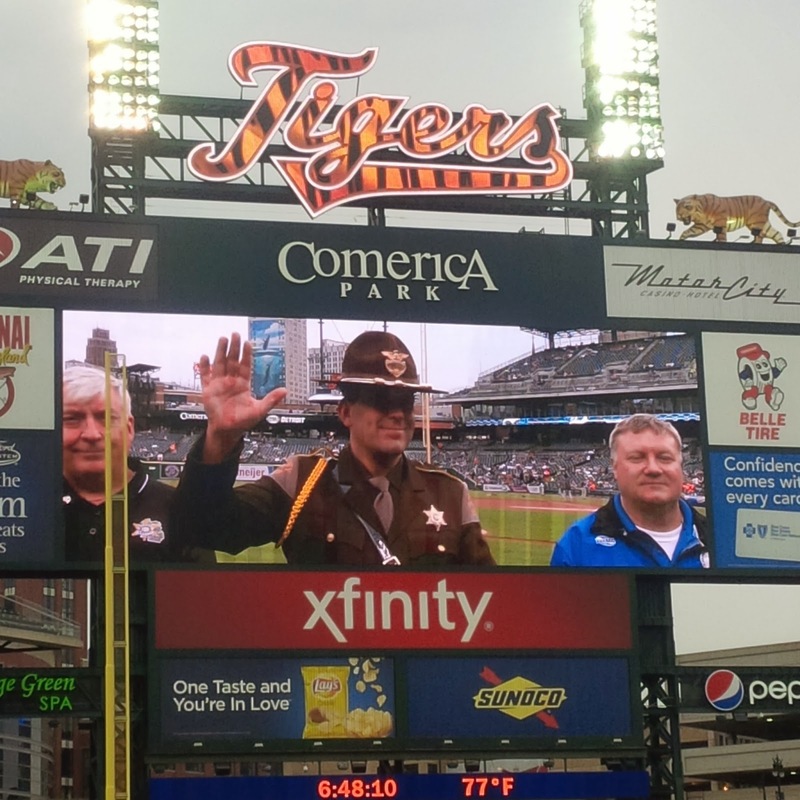 A special thanks to former Detroit Tigers pitcher Dave Rozema of the 1984 Detroit Tigers World Series for joining us and to the Michigan Chiefs of Police, Michigan Sheriffs Association, Michigan Fraternal Order of Police, Michigan State Troopers Association, Police Officers Association of Michigan and the Federal Law Enforcement Officers Association for their support. We look forward to seeing everyone in the spring of 2015 as preparations are already underway for the 4th annual event. On Friday, April 11th, 2014 law enforcement professionals joined a sold out crowd as the 2013 World Series Champion Boston Red Sox beat the New York Yankees 4-2 at Yankees Stadium. With over 1,000 attendees and over $18,000 raised for the Memorial Fund, this game was one of the largest Law Enforcement Appreciation Events held since the program began over three years ago. During the game, the New York Yankees welcomed all attending first responders with a special scoreboard message. This game also celebrated another exciting moment as the Memorial Fund awarded our first CharityBuzz.com winner with four VIP seats behind home plate, a special scoreboard welcome message displayed during the game and four Yankee gift bags. Alexis Crespin had the winning bid, donating $1,500 to win the package. 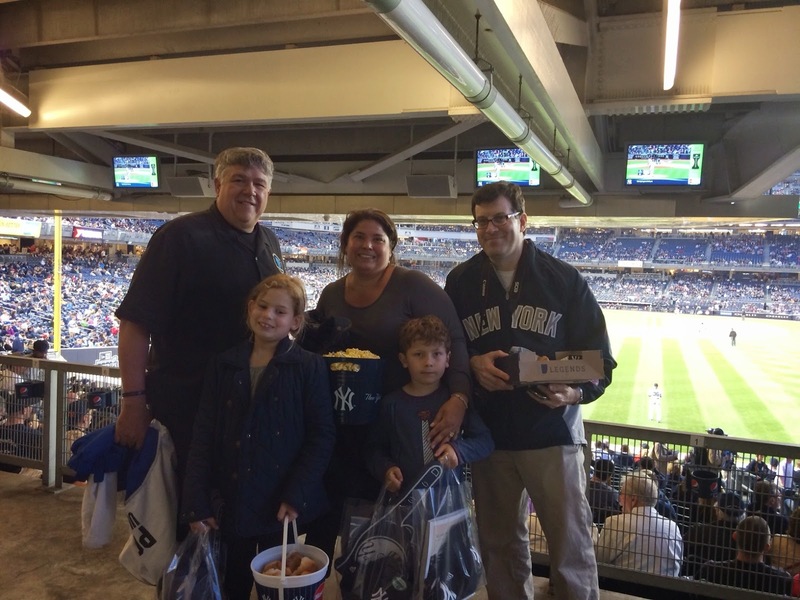 Memorial Fund Director of Law Enforcement Relations John Shanks, and New York Yankees Group Sales Manager Joshua Rose met Alexis and her family at the game to present them with their gift bags and thank them for their support. John Shanks, Director of Law Enforcement Relations and Chairty Buzz winner Alexis Crespin and family. The Red Sox and Yankees played an exceptional game and a good time was had by attendees. In the end, the Red Sox were victorious, but the Yankees lead the four game weekend series with a 3 -1 record over the Red Sox. Law enforcement attending the game comprised multiple agencies including local police, sheriff’s offices, state troopers and federal agencies from as far north as Massachusetts and as far south as Virginia. The Yankees have been a great friend and supporter of the Memorial Fund through their hosting of Law Enforcement Appreciation Events. The Memorial Fund is very appreciative of our relationship with the New York Yankees and Joshua Rose, their Group Sales Manager. For additional information about any of the Memorial Funds Law Enforcement Appreciation Events visit www.LawMemorial.org/sports or contact John Shanks at JShanks@nleomf.org.